The chui-hu is one of the most prevalent vessel shapes of the Six Dynasties period. This one is decorated with six large lotus petals suggesting possible Buddhist symbolism. 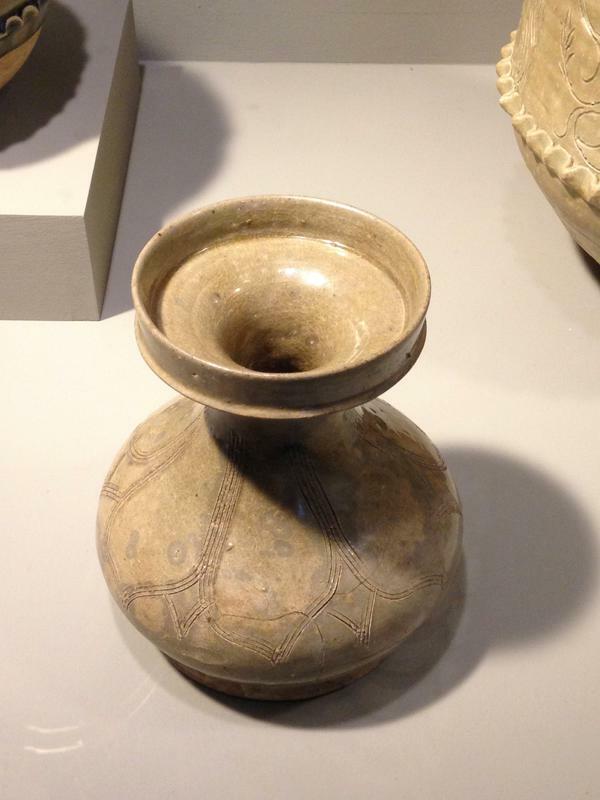 Celadon wares with similar ornament have been executed from ancient kiln sites in Chekiang province.